Fr Brian Lucas was reappointed as General Secretary for a further term of five years from August 2012. We gather this week at the shrine of St Mary of the Cross MacKillop for our Plenary meeting and we extend our fraternal greetings to you. Our recent Ad Limina visit in Rome has strengthened our sense of communion with you as the Successor of St Peter and with the universal Church. We thank you for the warm welcome we received and we are grateful for the attentive collaboration of the Dicasteries of the Roman Curia. We would also like to express our gratitude for your generosity in coming to bless and open the new Australian pilgrim centre Domus Australia. During this week together we will mature our proposal for our Year of Grace, a gift we will offer to the Catholic people of Australia as a way of reaffirming bonds of unity and “starting afresh from Christ”. The Year of Grace will officially begin in Pentecost 2012 and will be an opportunity for all people of faith in this country to renew their commitment to prayer, and to unite in a shared hope and communion in our Lord Jesus Christ. We look forward to developing its link to the Year of Faith which you proclaimed while we were in Rome. As bishops, we pray that our leadership will be ever responsive to the movements of the Lord in this, the Great South Land of the Holy Spirit. We pledge our collegial support of your ministry and seek your prayers for the Church in Australia and your Apostolic blessing. Commissioner Mick Gooda and a media release was sent out. establish a working part to consider policy and action on this. Archbishop Philip Wilson, Bishop Peter Ingham, Bishop Brian Heenan, Bishop Eugene Hurley and Bishop Peter Comensoli will comprise the working party. circumstances and the possible impact on the financial affairs of the Conference. of their continuing prayers as the election approaches. Dublin was shown and can be viewed here. There has been a change in name of the Research Directorate to the Public Policy Office, because of a review of the needs of the General Secretariat. Mr Jeremy Stuparich has been appointed as Public Policy Director, and commenced on 14 November 2011. NCEC has submitted (30 September) a response to the four research reports published by the Funding Review Panel on 31 August. The bulk of the NCEC response dealt with the key research report on the feasibility of establishing a national schools recurrent resource standard. There has been media speculation about the significant number of “funding maintained” Catholic schools that will “lose funds” from 2014. NCEC has advised the Bishops Commission, however, that the main issue to address in discussions this year with the Funding Review Panel, and next year with the Government, is the issue of funding indexation. The Chair of NCEC, Mrs Therese Temby, is sustaining a constructive dialogue with the Chair of the Review Panel, Mr David Gonski, to ensure that the NCEC position on funding policy and funding model matters is conveyed to the Review Panel. The Funding Review Panel will hand its report to the Minister for School Education, the Hon Peter Garrett, in December. This web-based resource for schools was developed by NCEC and produced by Fraynework Multimedia (www.togetheratonealtar.catholic.edu.au). The resource was launched early last June in the octave of Pentecost to coincide with the beginning of the implementation of the new translation of the Roman Missal in Australian parishes. The National Photographic Exhibition of Inspirational Catholic Women is now available to any diocese which didn’t have the opportunity to view the exhibition at a convenient time during the first program. The Bishops Commission for Church Ministry has approved the arrangement of the Council for Australian Catholic Women Annual Address. The speaker and topic for each address will be approved by the Commission. The address will also be made available as a pod cast to ensure it is accessible to women in all parts of Australia. The Bishops Commission for Church Ministry has approved the organisation of a biennial conference to be organised by the Council for Australian Catholic Women. Representatives throughout all dioceses will be invited to attend. 2,500 copies of the Prayer Book, Heart Space-A compilation of prayers and reflections by Australian Catholic Women have been sold. Additional copies are available for purchase through the General Secretariat. Robert Falzon from MenALIVE (National Catholic Ministry for Men) presented the book “How to Grow a Men’s Ministry” to the Bishops Commission for Church Ministry on 29 September. The focus is on Parish Ministry and to date, 7200 men have attended events around Australia. 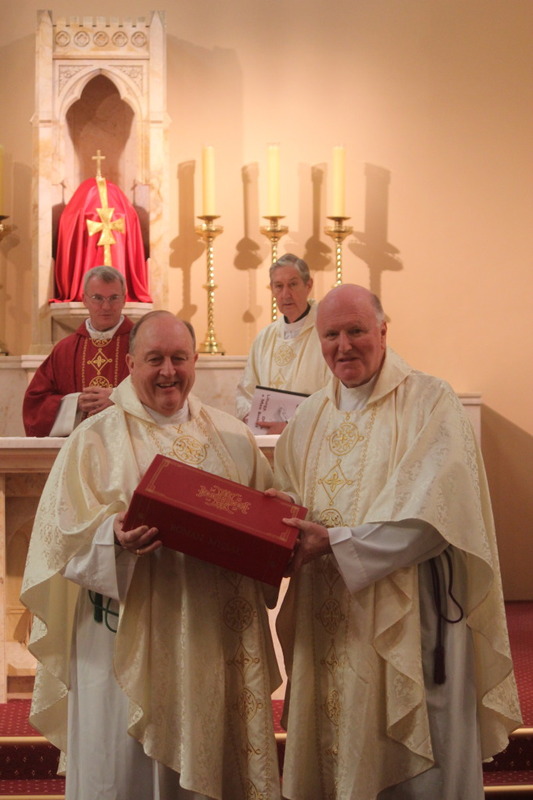 The Commission acknowledges the energetic and positive approach Robert and other members of the coordinating team are having on the lives of men in our parishes. Melita Bagnall rsm has been appointed as the Executive Officer for CVMA for the next 12 months. Katherine Tyrrell rsj completed her one year contract in February 2011. Fr Brian Mascord from the Maitland-Newcastle Diocese was elected as the first Chairperson of CVMA Executive. An election was recently conducted amongst Catholic Social Services Australia (CSSA) members to fill two member representative positions on the Board. Ms Cate Sydes (Marist Youth Care) and Ms Paula La Rosa (Centacare Townsville) were the successful candidates and it was noted at the CSSA Annual General Meeting on 11 October 2011 that Conference would be asked to ratify the outcome. In accordance with the CSSA and CSSA Ltd Constitutions, the Conference ratified the appointments to the Boards of CSSA and CSSA Ltd.
Mr Paul O’Callaghan’s appointment as Executive Director was confirmed on 16 October 2011, following a national selection process conducted by the CSSA Board. CSSA has remained involved in discussions with the Department of Immigration and Citizenship (DIAC) regarding the Expanded Community Detention Program. A number of member agencies have been involved in accommodating unaccompanied minors under this Program either individually or as part of a group. The Social Justice Statement – Building Bridges, Not Walls: Prisons and the justice system – was launched on Wednesday 14 September at the Australian Catholic University in North Sydney. The Hon. Graham West, CEO of St Vincent de Paul NSW launched the Statement. Mrs Margaret Wiseman of the Sydney Archdiocesan Prison Chaplaincy delivered the response. Special guests at the launch included: The Honourable Greg Smith, NSW Attorney General and Minister for Justice; Sir Gerard Brennan, former Chief Justice of Australia; and Professor Greg Craven, Vice-Chancellor, Australian Catholic University. To date, approximately 33,000 copies of the Statement have been ordered and distributed to parishes and groups around the nation. A free electronic version of the Statement is also available on the ACSJC and ACBC websites. Regarding the plight of members of the so-called Bali Nine, on 10 May, three Indonesian Supreme Court judges reviewed the case against Scott Rush and changed the death penalty to life in prison. On 17 June, it was announced that the Supreme Court had rejected Andrew Chan’s final appeal. The decision was made on 10 May but was only posted on the Supreme Court website on Friday 17 June. Since that time, the Supreme Court has also rejected Myuran Sukumaran’s appeal. Andrew and Myuran have around one year in which to lodge clemency appeals with President Susilo Yudhoyono., Clemency letters were prepared, signed by Archbishop Wilson and sent to the President of Indonesia and the Ambassador of the Republic of Indonesia on 8 August. 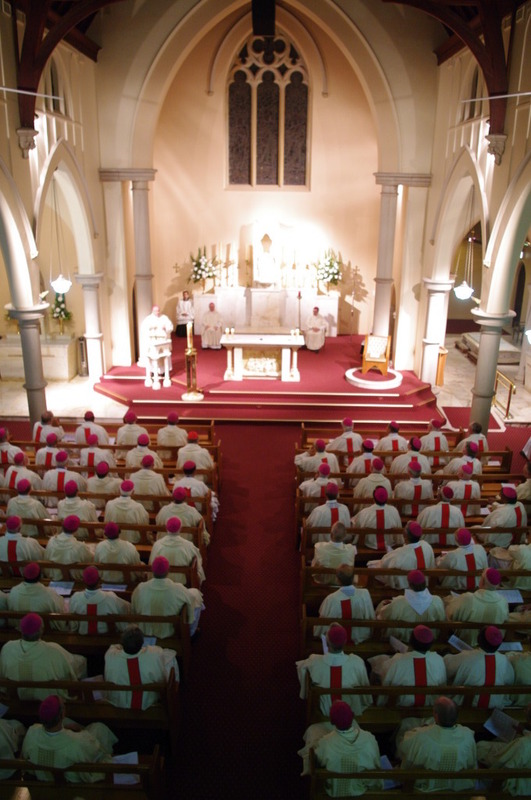 The implementation of the new translation is now well advanced in most Dioceses across Australia with the process having commenced on 12 June, 2011. The completion of that process leading to the Order of Mass being fully implemented was expected to be completed by 1 November, 2011. The published copies of the Missal have now arrived in Australia and have been distributed through St Paul’s Publications. The entire Missal (Order of Mass with Propers) is mandated for use in Australia from the 1st Sunday of Advent, 2011. Many parishes have already taken advantage of the early arrival of the texts and have now moved to using the new translation in its entirety. The National Liturgical Music Board has completed the process of identifying the contents for the proposed liturgical music resource. There are a number of other requirements, but once this work is complete the editorial committee will commence finding a suitable publisher. The Conference approved the revision of the Social Networking Protocols which were originally published in 2009. The revised Protocols include information about Privacy laws and photography laws – particularly with reference to using photos, copyright clearances etc. and reference the latest messages from Pope Benedict XVI. The Australian Catholic Media Office has launched its new media blog at www.catholic.org.au/mediablog which aims to create a sense of connection between the lay people and the Bishops Conference and demonstrate official Church positions on issues. The blog is hoped to enhance the profile of the ACBC and of the Church in Australia and engage further in Social Media. Catechetical material for Prisoners, Hearing God’s Call: An Audio Introduction to the Catholic Faith has been completed and produced, with one copy of this CD set sent to each Prison Chaplain across Australia for use in their ministry. 200 additional copies are available to be distributed based on need/prison population etc. Each diocesan Bishop has also been sent a complimentary copy. The National Office for Evangelisation has begun a monthly electronic newsletter to parishes, schools and groups and movements. Called Evangelise Australia, this newsletter seeks to inspire recipients to find out more about the new evangelisation, to share resources and ideas on how people can get involved in mission and begin preparing people for the 2012 Conference on the New Evangelisation. The National Office for Evangelisation now has a new website which offers an updated Directory on groups and movements involved in evangelisation. There are also a significant number of Events being listed to encourage people to get involved in nurturing their faith. With WYD to be held again in just two years, in 2013 in Rio de Janeiro, work has commenced already on national preparations. The Commission has agreed to continue the National WYD Project to support the national WYD pilgrimage and to continue the National WYD Committee, and has agreed that the highly successful Australian National Gathering in Madrid be held once again in Rio. Australian Catholic Youth Ministry Conventions are intended to be held biennially, following the Youth Leaders Gathering in 2008 and the Australian Catholic Youth Ministry Convention in 2010. The next Youth Ministry Convention is scheduled for 2012 in Campbelltown. Further, a national youth gathering in December 2013 allows the Catholic Church in Australia to address the needs of, and listen to the voice of, not only those small numbers that can attend the overseas WYD that year, but also the much larger numbers of faithful young people who cannot. Whist the national youth gatherings are not planned to be mini-WYDs – there will be some common features – they can be planned and articulated by dioceses, schools and groups and movements in a coherent and sensible manner with their much smaller WYD pilgrimages. The next World Meeting of Families is to be held in Milan from 30 May to 3 June 2012. As has been the practice in the past, the Commission will sponsor a family to attend the meeting as official representatives of the Australian Catholic Bishops Conference. A budget has been approved by the Conference for 2012 for the purpose. 5THINTERNATIONAL EUCHARIST CONGRESS, IN DUBLIN, JUNE 2012. The Secretary General of the 50th International Eucharistic Congress has announced that, following discussions with the International Catholic Deaf Foundation, there will be a full deaf track at next year’s Congress, including six workshops facilitated by the Foundation and signed for the deaf. Mr Stephen Lawlor and Ms Nicole Clark from The Ephpheta Centre (Sydney) will be presenting two of the workshops in Dublin. Attendance to the Congress will provide catechesis, faith formation and education to the Deaf and those working in pastoral care of the Deaf. Attendees would also be invited to attend the National Deaf Pastoral Care Conference in September 2012 which will be facilitated by The Ephpheta Centre (Sydney) in collaboration with the DHHC. Bishops will each be approached to consider sponsoring one deaf or hard-of-hearing person from their Diocese to attend the Congress. The long history of the Catholic Church in Australia in the provision of marriage formation was boosted by the formation of CSME following the 1973 Eucharistic Congress in Melbourne. Further advances were made in late 1980s and early 1990s with collaboration with secular organizations, increased Commonwealth government funding, and new developments including the introduction of the FOCCUS pre-marriage instrument. 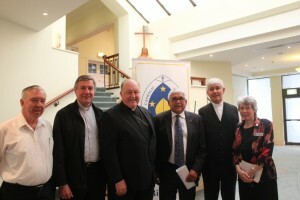 The Conference approved a project, and funding, to convene a symposium in Sydney in February/March 2012 that will bring together 20 – 35 leaders to discuss the future of Catholic marriage formation in Australia.